A high level UN panel thinks so. They’ve made a call to ‘Leave No One Behind’. But what does this mean? And if we eradicate ‘inequality’ as opposed ‘poverty’, what are the implications? The panel is timed to coincide with the UN Secretary-General’s report to the United Nations General Assembly on the Millennium Development Goals and the Post-2015 development agenda. Singapore is a member of a key UN working group that may shape this new agenda. What are its positions? 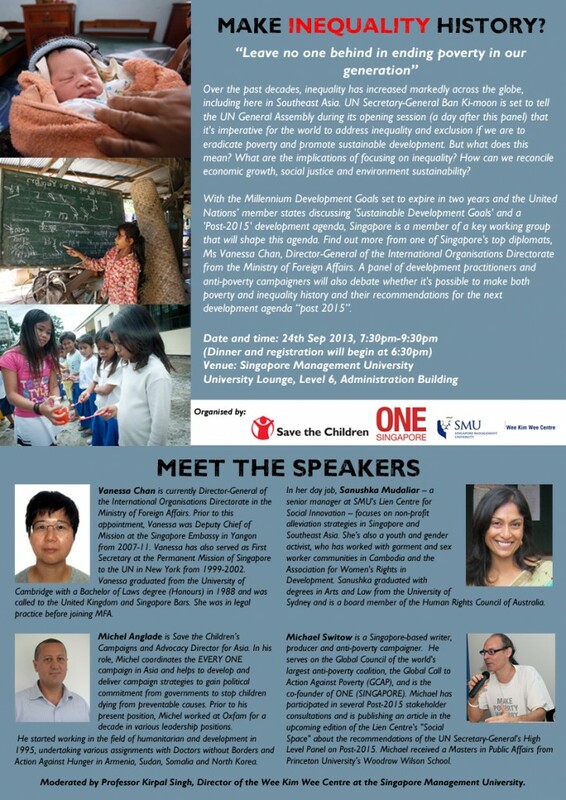 If you are interested to know more about inequality and its correlation to poverty, then join this round-table discussion co-organised by ONE (SINGAPORE), Save the Children and the Wee Kim Wee Centre. Where: University Lounge, Level 6, Administration Building. 81 Victoria Street, Singapore 188065. 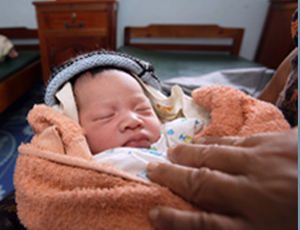 A Life of Dignity for All: a report by the UN Secretary General, Ban Ki Moon, to the United Nations.